I love makeup and nail polish as much as the next girl and while I do love hair products, I don't really show them a lot of love on here for some reason. It's not that I don't value them because I do - a good shampoo and conditioner can make the world of difference - I just get so carried away with rambling on about my newest makeup finds that they never get any love on here. I'm going to try and change that starting with this badboy that I had sent to me about a month ago and have been loving ever since. Everyone knows about John Frieda products and I'm guessing most of the female population in the UK has tried the Frizz-Ease serum as it was one of the first on the market to help with unruly hair so I have no doubt that this won't do just as well. 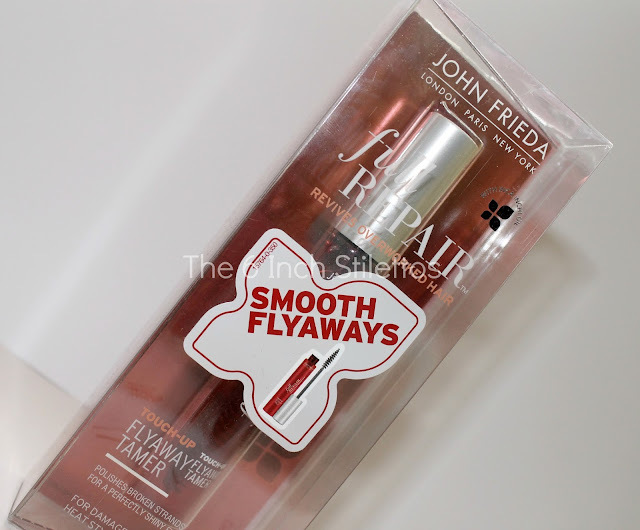 The Full Repair Smooth Flyaways Touch Up Flyaway Tamer serum is a handy little gem of a product because it does exactly what it says on the box. Smooths flyaways. Genius, right? We've all had days after we've washed and blowdried/straightened out hair that we can't seem to smooth down those dodgy baby hairs around our face and end up looking like we may have gotten a little electrocuted but this solves that problem. 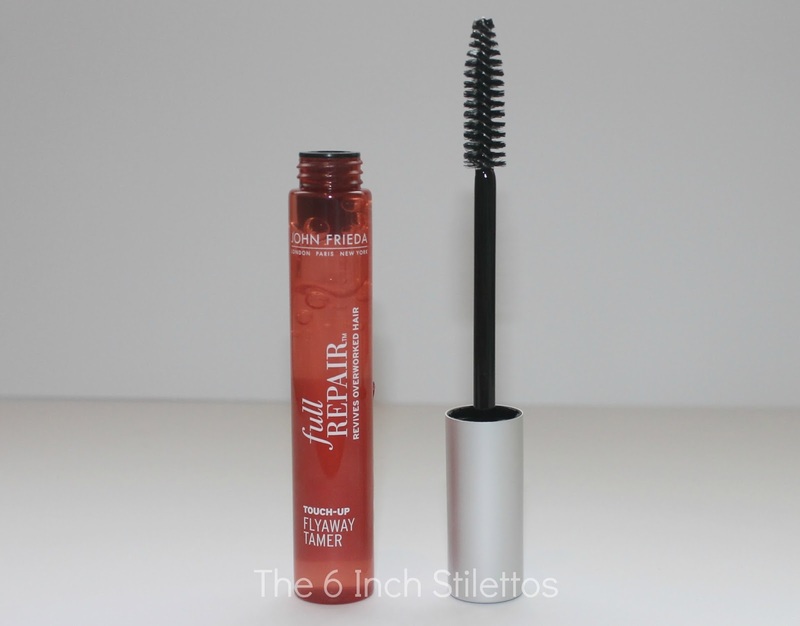 Designed like a hair mascara, you just swipe the mascara wand over your flyaways and it'll smooth them down with a very light serum so it doesn't look or feel too gloopy. 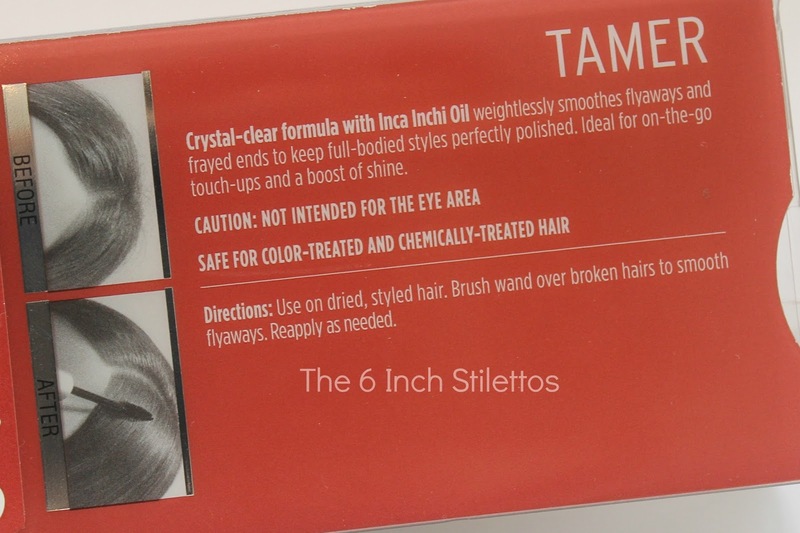 It's also great if you're pulling your hair back in to a ponytail or bun and don't want to go hairspray crazy because you can tame the hair around your face to make it look a little sleeker. I know some people might think this is a gimmick because essentially, it is just a serum with a mascara wand but if you're out and about or travel and want something small that does the job, I would most definitely recommend it. It gets a big thumbs up from me! You can pick this up from Boots or Boots.com for £10.99 now. This seems so cool! I wanna try this. I definitely recommend it, babe. It's a lifesaver of a product!